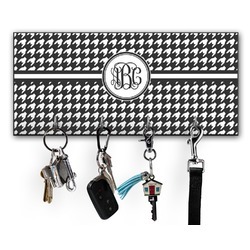 If you are always losing your keys or get frustrated with those who leave them on the table, you will love this personalized key hanger. Add some extra spice to your wall and get some function out of it at the same time! 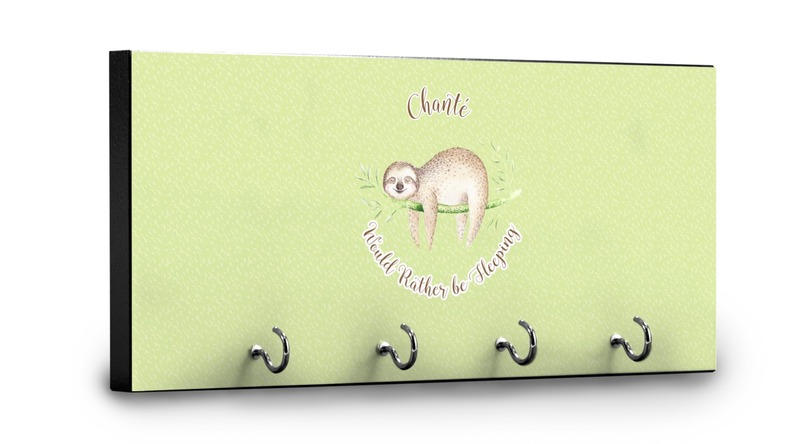 This 11" x 5" key hanger is made of sturdy wood and has four metal hooks lining the bottom. This is the perfect size for a family with several drivers. Not only can you hang keys on it though, but pet leashes and other small items. 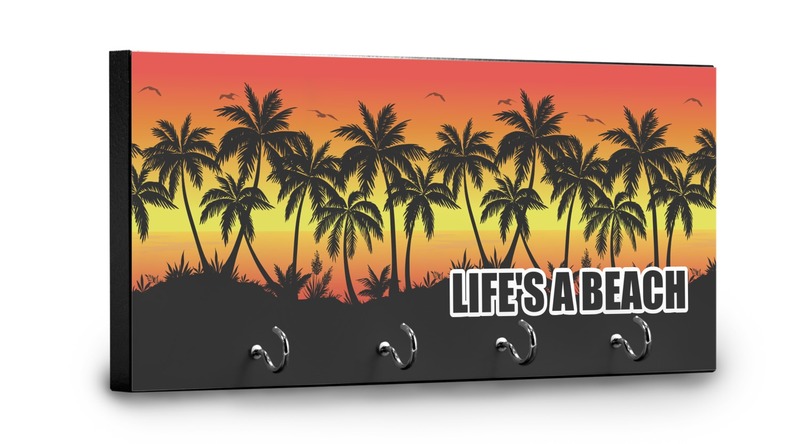 The board is black on the sides and back and is printed with the design of your choice on the front. 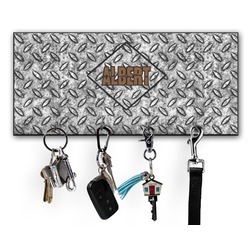 With our design center, you are able to create your very own design for your key hanger! You have the ability to start with one of our designs and change it to your exact specifications to then make it YOUR design. Change a little or change it all. Whatever you do, make it yours. Need help in our design center? Just give us a call or hop on our online chat to talk to a live customer service agent. If you loved this product you may be interested in our keychain wristlets or rear view mirror charms. Your website was easy to use for customizing. the order went through quickly and the hanger arrived in good condition. Looks great, and your staff helped make it fast and easy. Came in quick and had everything I needed to mount. Well done.